The two-dimensional probabilistic cellular automaton Epidemic models the spread of an epidemic without recovering on graph. We discuss some well-known and less well-known properties of Epidemic on a finite grid and its analogous on the infinite square lattice: the Eden model. 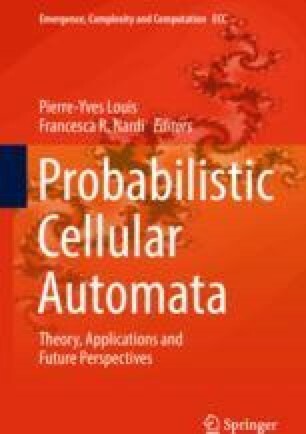 This survey is intended for non-probabilists and gives a detailed study of the robustness of a cellular automaton with respect to several sources of randomness. I am grateful to two anonymous referees for their careful reading of the first version of this article.